You responded with some interesting toppings that made us ask a lot of questions, like, "What is, and what isn't considered a burger?" A few of you mentioned peanut butter as an option. "My father used to put peanut butter on everything." said Facebook user Adam Adrian. "It fits surprisingly well on quite a bit more than just apples and celery." Two Facebook users — Rob EJ and Jessica Fields — recommended peanut butter and bacon. Apparently that combination does exist. This topping combination came to us from Facebook user Beth Landers, who told us this combination can be found at Bishop's Restaurant. It's called the Nutty Muffit. "I've had cole slaw and peanut butter at other restaurants, but it isn't quite the same." Landers said. 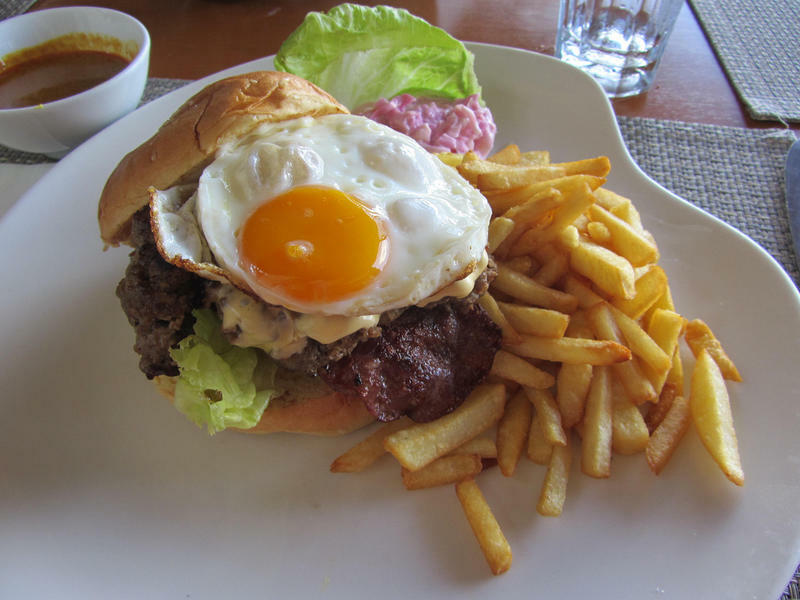 Facebook user Adam Adrian tipped us off that Big Boy has a kitchen sink burger. According to Big Boy's menu, the Kitchen Sink Burger contains various toppings that include fried egg, fries and Big Boy chili. Facebook user Nathan Bryan tipped us off that beets are "apparently a thing." According to Instagram, they are indeed a thing for some people. Hey! Just wanted to let you know that the recipe for these black bean and beet burgers is now posted on the blog! These burgers are full of beans, oats, beets, carrots, red bell pepper and so much fun to eat with a beet cashew cream on top! They are also gluten free as long as you have gluten free buns! The recipe for the sweet potato fries can also be found on the blog! This suggestion comes from Facebook user Joe Timar who consumes burgers with these two ingredients in the confines of his home. Confused what either of these toppings are? Duck eggs are simply eggs produced by ducks. Béarnaise sauce is "egg yolks and butter cut through with vinegar flavored with tarragon and shallots, with a bite of black pepper," says Sam Sifton, the founding editor of New York Times Cooking. "Think of it as a loose mayonnaise, requiring only plenty of whisking and a careful hand with the heat to master." Now, it's time to go grab a burger to celebrate the holiday! 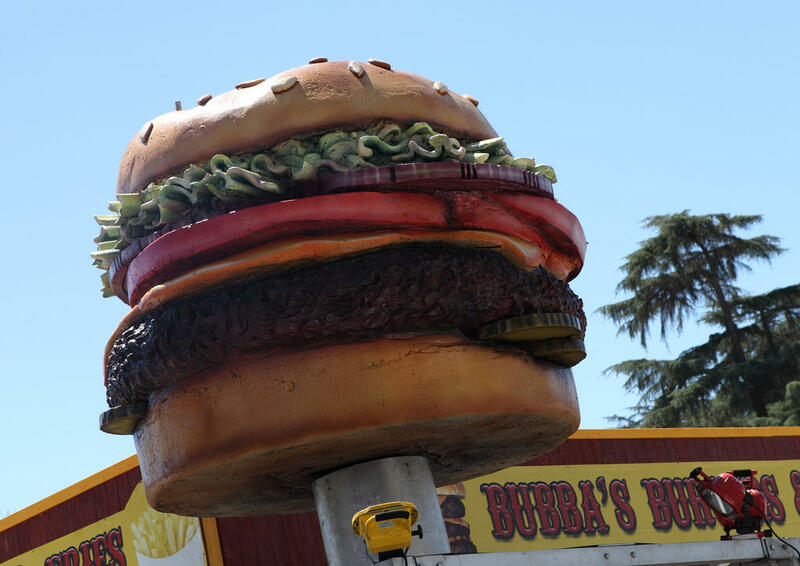 The Blimpy Burger lives on. According to MLive’s Lizzy Alfs, owners of Krazy Jim’s Blimpy Burger signed a lease on 304 S. Ashley Street — the former home to the Eastern Flame restaurant. And more notably, right next store to the Fleetwood Diner. 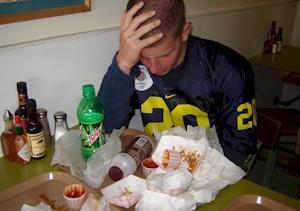 As Michigan Radio’s Mark Brush reported in August, the 60-year-old restaurant shut its doors last summer after the University of Michigan bought the burger joint to make room for a new dormitory. Michigan health officials are warning people not to eat raw clover sprouts, because they may be contaminated with E. coli bacteria. The Michigan Department of Community Health says two people were hospitalized after eating the sprouts at sandwich shops in mid and southeast Michigan earlier this month. Five other people became sick. Health officials say two confirmed cases of E. coli in Michigan had the same genetic fingerprint as cases in other states. 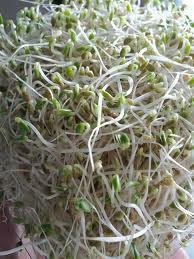 All were linked to raw clover sprouts eaten at Jimmy John’s restaurants.